The Buffalo Bandits' 2017-18 season may - or may not - have been defined by an offseason conversation. The Bandits had come off a dismay 2017 campaign, falling all the way to the worst record in the National Lacrosse League. That was particularly painful since that same team, more or less, went to the NLL Finals one year before. Captain Billy Dee Smith and general manager Steve Dietrich had an honest talk. Smith is said to have told Dietrich that the high-pressure coaching techniques of Troy Cordingley had stopped being effective. The Bandits had been listening to Cordingley and predecessor Darris Kilgour for many years, and Smith - representing some of the other veterans - thought a good chunk of the team had tuned them out. We don't know how Dietrich reacted when he was first told of the players' thoughts. But his actions indicated that that he didn't agree with the diagnosis. Once Dietrich found out he himself would be back for another season, he brought back Cordingley for the 2017-18 season. If Cordingley was smart enough to get the Bandits into the finals in 2016, he didn't turn into the proverbial idiot a season later, the logic went. Assistant coaches John Tavares and Rich Kilgour also returned. There had been some talk that another coach would be added to the staff, but that never happened. But there were changes to the roster. Almost anyone over the age of 30 was suddenly at risk. Smith was not offered a renewal of his contract, ending a long run as a Bandit. Ryan Benesch was traded to Colorado for Callum Crawford and Alex Buque. It was a deal that was partially designed to bring in the team's goaltender of the future in Buque. Still, Benesch had been part of a great one-two combination with Dhane Smith for the past few years. David Brock wasn't offered a new contract. Andrew Watt departed. Anthony Cosmo did the expected before the start of the season, and retired. Whew. In fairness, Dietrich had talked the previous season about how the Bandits needed to get younger and more athletic. He kept his word on that. 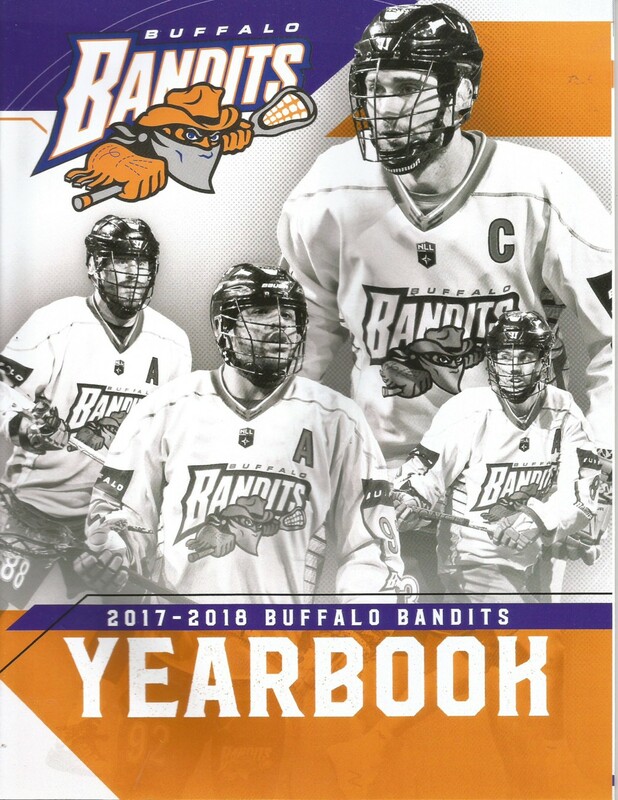 The Bandits were to become, for the first time in memory, the youngest team in the NLL. "It was tough," Dietrich said about the previous season. "Nobody lived or died with it more than I did, especially when it falls on my lap. It was difficult. I'm glad to be here. We have some redemption to do." Other moves were completed as well. Jordan Durston came over from Vancouver for Anthony Malcom, and Reid Acton was picked up from Georgia for a draft choices. Mark Steenhuis - who was indeed older than 30 - moved back to a transition role. Then came the reward of a last-place finish - the first overall pick. That translated to Josh Byrne, who everyone believed could be an elite offensive player once he learned the game. "I'm still getting used to it," he said. "It's definitely was different (than outdoor lacrosse) - since it's five on five, you have to be aware of everyone on the field. Chase Fraser was the team's second-round pick and was on the opening roster as well. Out the back door, names such as Justin Martin, Ethan Schott and Ryan Wagner were new and contained hopes they'd grow into their roles. The season not only started well for the Bandits, but it started early. The new leadership of the NLL wanted to eliminate some of the back-to-back games from previous schedules as well as sew the seeds for a longer season (and thus more revenue), so it started the lacrosse year in the first week of December. The fans were not quite ready for the move - only 11,516 tickets sold in Buffalo - but those that came saw a 13-9 win over the Toronto Rock. Dhane Smith had a quiet seven points, but 10 different Bandits scored goals. Buque was sharp in goal as Buffalo closed the game with a decisive 7-3 run. "Whenever we broke down, Alex was like a wall back there," Cordingley said. But those good feelings only lasted 15 days, until the next game. Buffalo started its road season in Rochester on Dec. 23, and it was a disaster from the first faceoff. Rochester scored the game's first five goals in less than nine minutes, and had a 13-5 lead at halftime. It's was about over at that point, and the Knighthawks cruised to a 21-11 win. Want more bad news? Buque was pulled in favor of Dave DiRuscio, who faced one shot - and suffered an injury on the play. He didn't know it, but his season was over after 31 seconds. Buque finished up. It wasn't much better a week later. The Rock bounced back to also put up 20 goals on the Bandits' defense. It took a 6-2 fourth quarter to put away a 20-13 decision. Therefore, Buffalo's first game in 2018 was a huge one. If the Bandits lost to Calgary at home, they would sink to 1-3 and face a good-sized crisis. Buque helped to make sure that wouldn't happen, at least for a while. He was sharp in a 13-8 win over the Roughnecks. "I just needed a little bit of time," Buque said. "The last two games didn't go as planned. But it's all about adapting and bouncing back." "The guys were frustrated the last two games, but no one threw in the towel," Crawford added. "But if we don't do it again next week, this won't mean a thing." Oops. Crawford was right. Vancouver surprised the Bandits with an 11-10 overtime win on Jan. 13. It was a terrible loss against a team that hadn't won a game all season. Then there's the fact that Mitch Jones had tied the game with 22 seconds left to give Buffalo all the momentum it could need, but it didn't help. It was time for another crisis, and powerful Saskatchewan didn't seem like the best of opponents in such a situation. The Rush scored six straight goals in the first period while Buffalo was blanked in the opening 15 minutes. Saskatchewan led, 12-5, midway through the third period. What could go wrong? From the Rush's standpoint, everything. Buffalo rallied to tie the game, 13-13, with about seven minutes left, gave up two goals and then scored three to win it, 16-15. Saunders had the game-winner at 1:46 of overtime. It might have been the greatest comeback in Bandits' history, especially considering the opponent and the location (Saskatoon). This win really did become a turning point to the season, at least for a while. Buffalo went back to Rochester on Feb. 3, and came home with a 16-14 win. Byrne had five goals to lead the way. Two games in two days were next on the slate, with Buffalo winning in New England on Feb. 9 by a score of 18-13. The Bandits had to come back a day later to play powerful Georgia, no easy task even when well rested. Luckily, Zach Higgins was well-rested. Higgins was signed as a free agent when DiRuscio was injured, and had played in a pair of games in relief of Buque. This was his first start for Buffalo, and he was magnificent in an 18-9 win. The veteran stopped 54 of 63 shots. It might have been the best game by a Bandits' goalie since Ken Montour was in the nets. "It was pretty special," Higgins said. "This is a long time coming, and I couldn't wait to get the chance." The Bandits were suddenly 6-3, and had a clear lead in the NLL East as they rode a four-game winning streak. It looked like a turnaround through the season's midway point, but it was the same team that quickly went into reverse for a while from that point. Rochester sent a strong message in the KeyBank Center by scoring the first seven goals of the game. The Knighthawks went on to a 17-10 win that wasn't that close. Ex-Bandit Joe Resetarits finished the game with 14 points for Rochester, a league record for an American-born player. "Some of us have been reading our press clippings on how we had become a good team," Cordingley said. "In every area we were beaten - offense, defense, loose balls." Evans made his debut for Buffalo on the road against the Mammoth. The Bandits fell behind Colorado in the second quarter, then blanked the Mammoth in the final 15 minutes while putting on a late rush. It fell short, as Buffalo lost, 8-7. Saskatchewan didn't blow a lead when given the chance in Buffalo, dominating the Bandits by a 16-10 count.. Robert Church had six goals for Saskatchewan. Then Georgia took control in the final 20 minutes to beat Buffalo, 14-10. The Bandits were suddenly 6-7 with five weeks left on the schedule. New England supplied some help in Buffalo's next two games. The Black Wolves broke down defensively many times in a 20-7 loss to visiting Buffalo on March 23. Eight days later, the Bandits were still sharp in a 14-11 home win. That was good for a share of the lead in the NLL East. The division was there for the taking, with all five teams fighting for playoff spots. "Every game is a playoff game," Fraser said. "We've got to win out." Buffalo had its last non-divisional game of the year on April 14, a chance to gain ground while avoiding the slugfest in the East standings. The Bandits were tied at 7-7 after 30 minutes, and then gave up the first nine goals of the second half. The game finished 16-9. Still Buffalo had two games left at home to conclude the season. A win in one of them might lead to a playoff spot, while two wins could guarantee a home playoff game. But in the tight NLL East, a loss to the wrong team could be very damaging. Buffalo's margin for error disappeared on April 21, a 16-11 loss to the Rock. Toronto gave up the first two goals, but then scored seven of the next eight goals. Buffalo never did take the lead after that, although it got the game to even at 8-8. Now the Bandits had to win on April 28, and they needed help to reach the postseason. The usual season-ending opponent, Rochester, was in the way, and the Knighthawks needed this one as well. The first surprise of the night came with the starting lineup. Cordingley picked Higgins to be the starting goalie for the biggest game of the season, something that would have been unthinkable a few months before. Buffalo finished 8-10, and out of the playoffs for the season straight year. The Bandits had a losing record for the fourth time in six years. It had been an oddly streaky season, as the team couldn't put together much consistency for more than a few weeks at a time. When it mattered most, Buffalo fell short. Individually, Dhane Smith bounced back with 105 points to lead the team in scoring. Evans had 83, and Mitch Jones had a team-leading 38 goals. Byrne finished with 63 points and was one of the league's top rookies. On defense, Steve Priolo had another great season and he and Kevin Brownell split the team's defensive player of the year honors, but the unit was muddled a bit by injuries. Steenhuis missed much of the season that way and didn't have many good moments coming out the back door in 2018. Buque played some good games, but not enough of them. Bandits' management would have to sort out the goaltending situation in the near future. But there were other decisions ahead. The NLL planned to expand for the 2018-19 season by two teams, so the Bandits needed to figure out who to protect in the expansion draft. More importantly, who would make those decisions? The Bandits were better in 2017-18 - going from 6-12 to 8-10 - but being one of the three nonplayoff teams would not be acceptable to the leaders of the franchise. Would someone pay the price? It figured to be another interesting summer, full of meaty conversations. (Be notified of new posts on this site via Twitter @WDX2BB).